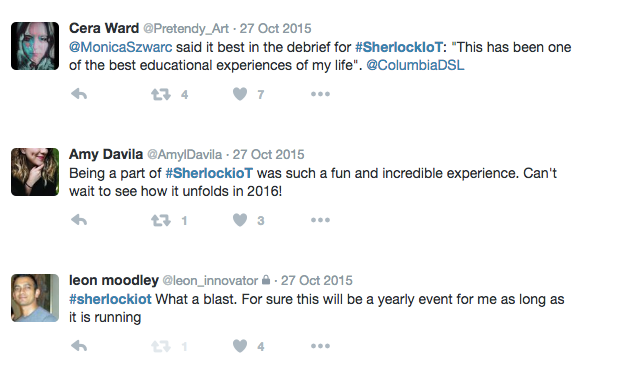 Quick reminder to let you know that this is the final week to register for the FREE Sherlock Holmes & the Internet of Things MOOC (massive online/offline collaboration). 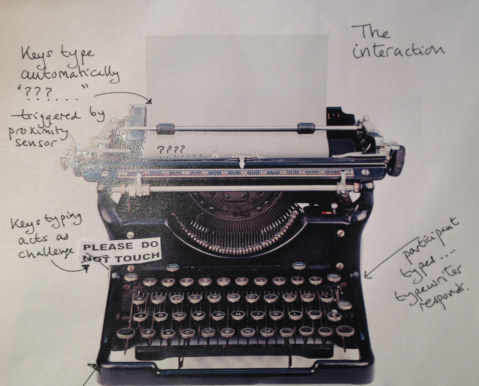 Starting August 23rd storytellers, game designers, hackers and makers will step into a global storytelling experiment. Come join us as we reimagine the world of Sherlock Holmes. The Columbia University School of the Arts’ Digital Storytelling Lab presents a new kind of MOOC – a FREE learning & doing environment – focused on storytelling and emergent technologies ‪like IoT‬, ‪AR‬, ‪AI‬, ‪and VR‬. Also this year we’re introducing Artificial Intelligence (AI) through a special collaboration with IBM Watson. The instructors for 2016 include; Lance Weiler, Nick Fortugno, Ele Jansen, Jörgen van der Sloot, Watson team members, The Baker Street Babes and more. Since the start of the project over 2,000 collaborators from more than 60 countries have participated in 120 self-organized events around the world. A few slots for the MOOC remain so if you’re interested please make sure to register ASAP. SPECIAL SHERLOCK EVENT for those in the NYC area! Come join us as we reimagine the world of Sherlock Holmes! 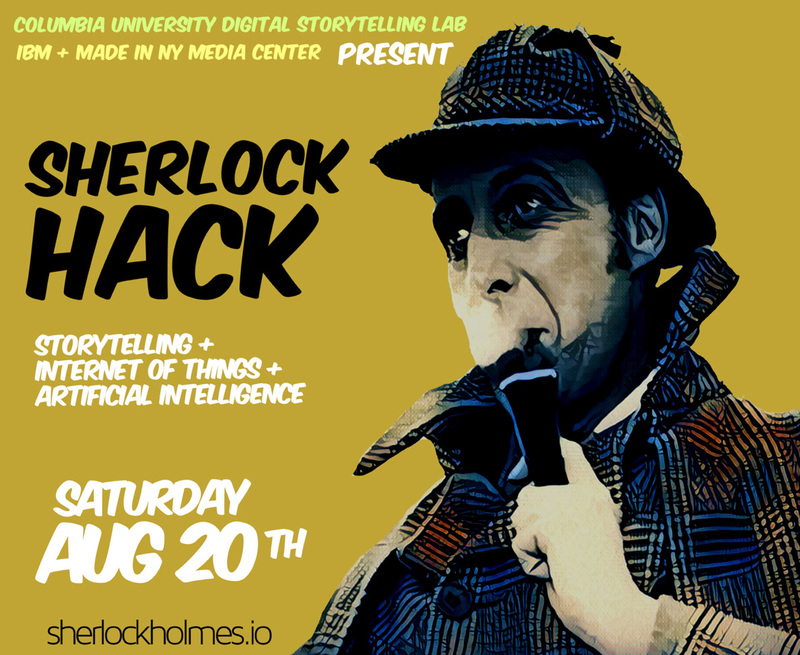 We’re pleased to partner with the Columbia University Digital Storytelling Lab, IBM and the Made in NY Media Center to present a day long Sherlock Hack that mixes storytelling, the Internet of Things & Artificial Intelligence. Together we’ll explore how to harness various Watson APIs and the Bluemix platform to create a number of enchanted objects. To RSVP for the SHERLOCK HACK click here.